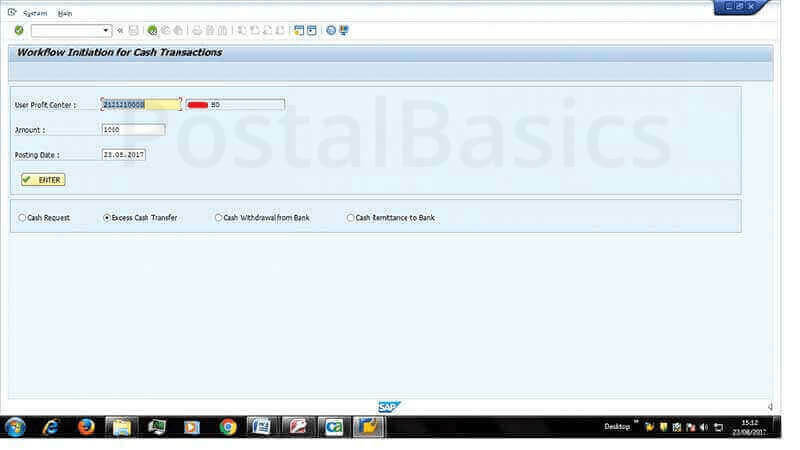 In this article, I will be explaining how to receive excess cash from BOs through SAP module. All BOs have their own Maximum Cash Limit as described by the department. When the cash limit exceeds the maximum limit, the BPM will send the cash to attached SOs. 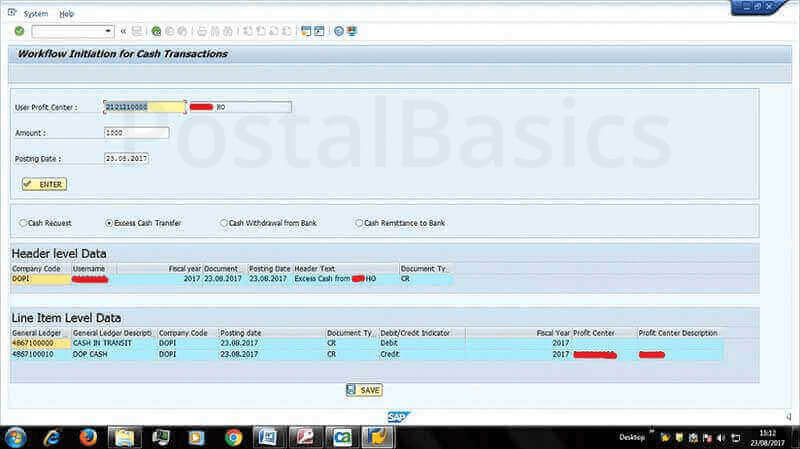 If a Branch Office is not migrated to RICT then, the SPM or Treasurer of Sub-Office should perform the duties of a BPM. 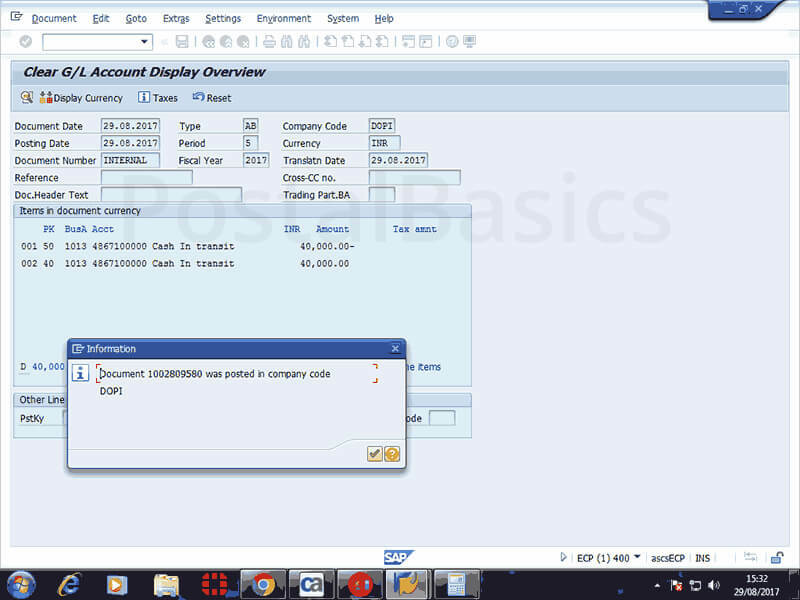 Go to SAP enter T-code ZFFV50. The below screen will appear. Click on Save button and note down the Document No. Now, the Postmaster(SPM) has to release this request. 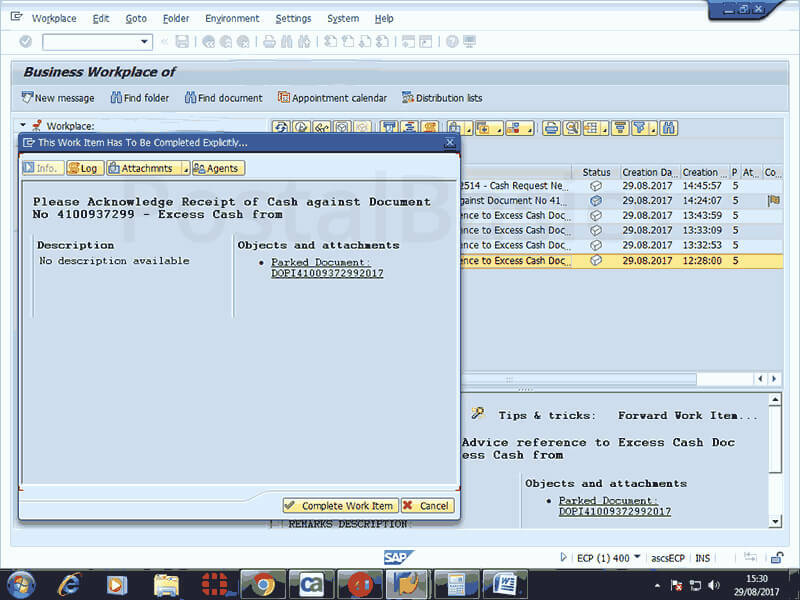 In the SAP main screen, click on Business Work Place (3rd icon at the top) » Inbox (supervisor inbox) » Work Flow » Click on a message as Release excess cash request from x branch office » Click on Release button » Type some text in the message box. Now the treasurer has to go to Inbox » Workflow » click on excess cash request from x BO message » click on save button. The following screenshot is shown. Click on ✓. The next window will appear. If any user is doing the same procedure anywhere in India then it shows an error as BLOCKED BY THIS USER. Then, click on the back button you will directly go to the below screenshot. Click on Complete Work Item. Thus the excess cash will be added to SOs TCB.